Whether you are a complete beginner, a regular shot, a fly-fisher, or a group of people seeking a new experience, Coopers Country offers a range of packages to suit everyone. Celebrate that special achievement or occasion with a group of friends and enjoy a Blast in the Woods! 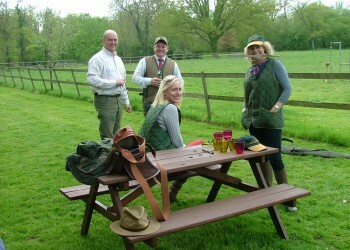 Shoot 30 clays under instruction, followed by a light lunch at our Sporting Lodge. Includes an arrival hot drink, and a one-course lunch, inclusive of a glass of wine, beer or soft drink.